We continue where we left of from Part I of "This Is The Day". My mini-comic, "Overwhelming Wot-Not" is out of print. I think Sparkplug Comic Books might have the last 3 copies left for sale. I'm not sure if I'll be making new ones. So for those who haven't read it, here's one of my favorite pieces in from it. I read this at the Guapo Comics reading for Stumptown Comics Festival 2008. Happy Times. Anyway, For someone's, anyone's ?!? viewing pleasure, here it is, page by page, of "This Is The Day." a new story for a new book. This is all I did at the Sacramento comics show. 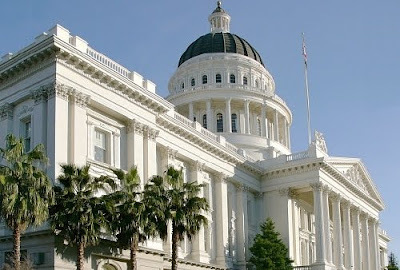 OOOhhh Sacramento.. the center of California politics! I love it for the Crocker Museum, Tower Bridge and that zany Joe's Crab Shack...not to mentio, the mayor is KJ from the Phoenix Suns! So, but anyway Hey guys! I'll be at the Indy Euphoria - Indy Comix, DIY & Vinyl Toy Convention in the River City tomorrow. I'll be hanging out with proprietor, publisher and pal, Dylan Williams at the SPARKPLUG COMIC BOOKS signing copies of my new book "Whirlwind Wonderland." If you're in the area, make sure to stop on by and take a gander at all the other great comics that Sparkplug carries. There will also be awesome Bay Area cartoonists such as Josh Frankel, Andrice Arp, Jesse Reklaw, Damien Jay, Minty Lewis, Jason Martin, Jed Alexander, and Family Style showcasing their latest work. Also Special Guests of the show: Jim Woodring, Jeffrey Brown, Nate Powell, Tom Neely, and many more. Pretty cool! The show runs all at the Jan.9-10. I draw these during my busride, so I'm sorry if these all sound redundant. Slowwwwly, I am starting to draw a new page for the new book that I keep trying to finish/start.